Yesterday GLAAD released its annual report on LGBT representation in Hollywood, and Disney received a failing grade for not including a single LGBT character in any of its 2015 films. Thankfully, Twitter user and Feminist Culture founder Alexis Isabel has a suggestion for how Disney can improve that grade: #GiveElsaAGirlfriend. […] Growing up, I never saw a princess fall in love with another princess — and neither have girls growing up right now. The entertainment industry has given us girls who have fallen in love with beasts, ogres who fall for humans, and even grown women who love bees. But we’ve never been able to see the purity in a queer relationship. I recently thought about this in relation to Disney’s Frozen, a movie I have seen multiple times (I own practically all of the Olaf merch available). Many in the LGBT community view this movie as a metaphor for the experience of coming out and accepting who you are. Yet Elsa, the film’s protagonist, will probably end up with a male prince or king in the upcoming Frozen sequel. It would be an incredibly powerful statement for Disney to make one of the main characters of the Frozen franchise explicitly out, especially considering what an incredible success the first film was. 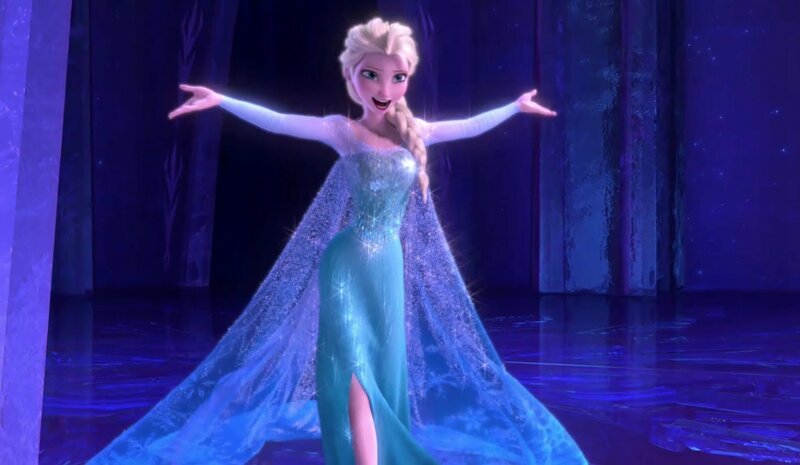 By transitioning Elsa from arguably queer-coded to canonically queer, Disney would be forcing its more close-minded fans to reconcile their prejudices with the fact that they spent winter of 2013 rooting for a queer character’s happiness (and singing what was, in retrospect, her anthem about living life out and proud). Realistically, I doubt Disney will be willing to take that gamble with Frozen 2, for many of the same reasons that I doubt they’ll take GLAAD’s suggestion and actually introduce an explicitly gay relationship in Star Wars: The Force Awakens. Diversity is proven to sell, but I suspect it will be a long time before Disney believes that audiences’ desire to see an accurate cross-section of humanity on screen can be more profitable than continuing to cater to white, straight audiences. I wouldn’t be shocked if we saw more tangential queer characters from Disney very soon, possibly as soon as 2016; but I’m not allowing myself to get too excited for queer Elsa or Storm Pilot. But who knows? Frozen 2 isn’t due until after 2018—I’d love if by then Disney was willing to make more risks than I expect. Regardless, it’s heartening to see how much traction Isabel’s idea has gained online. Countless fans are ready to let exclusion of LGBTQIA relationships go, even if studios aren’t yet.